Viator Customer Care and Support with FAQs: How Can I Contact Viator.com Customer Service? Top Viator Question: How Can I Contact Viator.com Customer Service? Many of the consumer’s top questions about Viator revolve around the booking, cancellation and possible refunds for tours. Customers want to know how the tour service works and how to contact Viator customer service should they need assistance. Customers want to be confident in the tours and experiences they are booking. 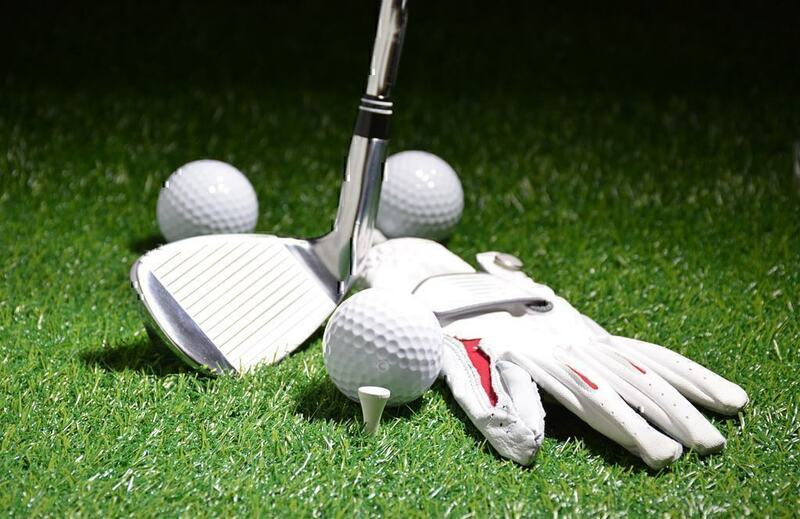 So, in addition to our collection of feedback and Viator tour reviews, we have compiled the best answers to these top Viator consumer questions below. How can I contact Viator customer service? Can I cancel or change a booking reservation? How do I get the tickets purchased on Viator.com? Looking for answers to your questions about Viator tours? 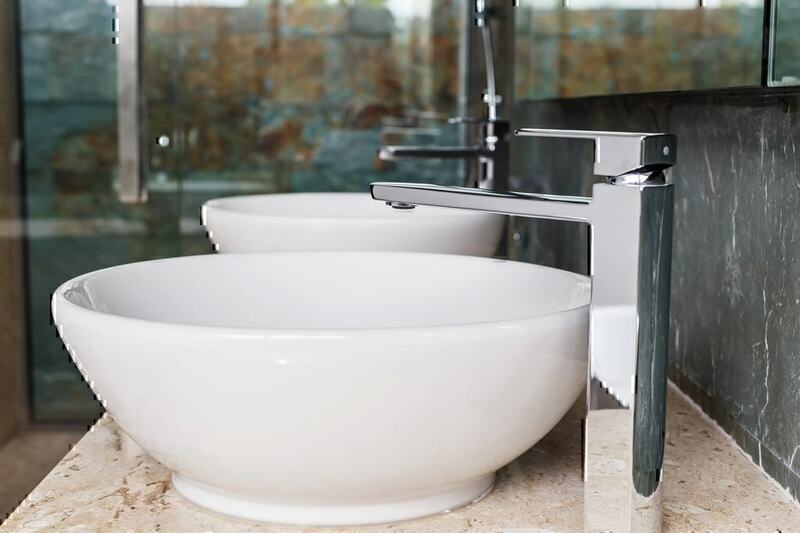 We have scoured the Viator Help pages to find the answers and information you’re looking for. 1. How can I contact Viator customer service? PissedConsumer has compiled contact options if you are trying to reach Viator customer help. In order to reach out to the company or to reach a Viator travel agent, you can use our Viator contact information. The website, however, makes it challenging to find a direct Viator customer service number. The Terms and Conditions on the site have an address for the company and a link back to Viator customer support which is a Help Center with a collection of questions and answers. The actual Viator customer service number can be located with some digging on a page called How Can We Help in the Booking / Pre-booking Inquiries section of the Help Center. In the Viator complaint, the customer was asking for help getting the issue resolved since the tour company never showed and had only a disconnected phone number. 2. 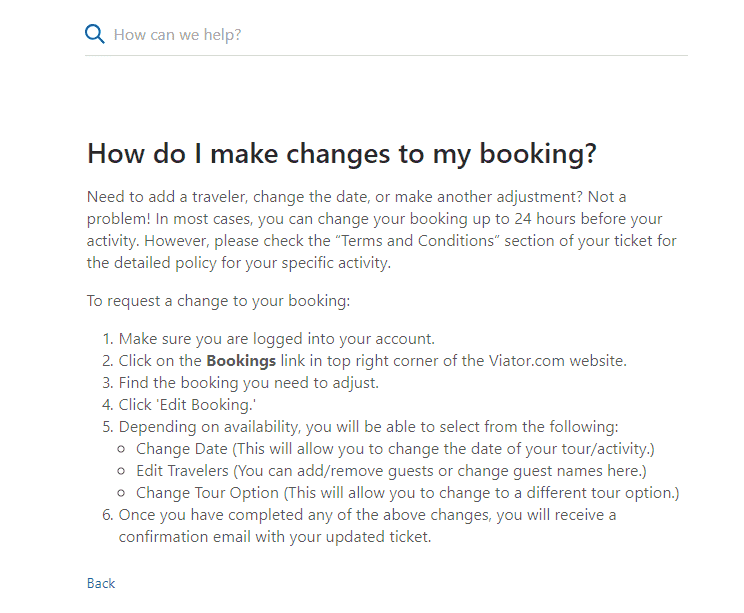 Can I cancel or change a booking reservation on Viator.com? Viator FAQ advertise a cancellation policy up to 24-hours in advance for tours arranged through the Viator website. 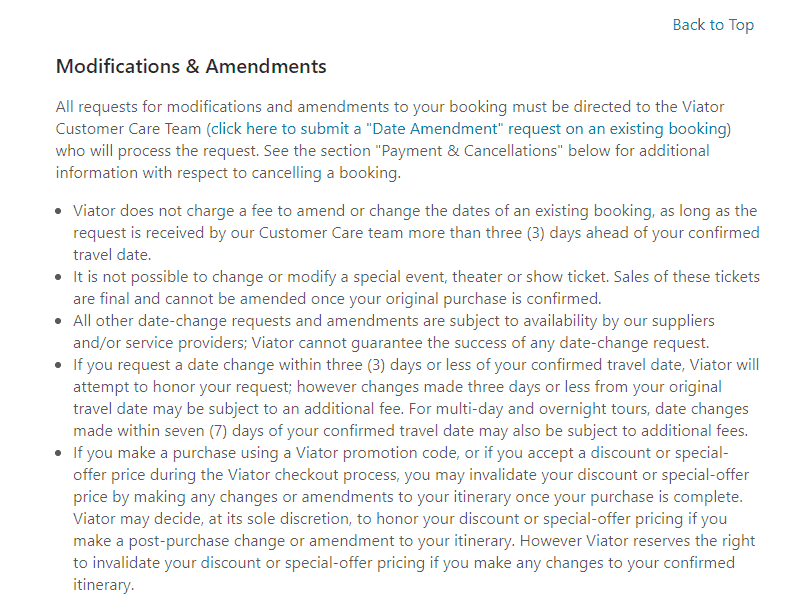 The Viator Frequently Asked Questions section includes a detailed set of instructions for how to cancel a reservation. In order to cancel or change a booking, you will work through the Manage My Booking button on the top right corner of the Viator website. 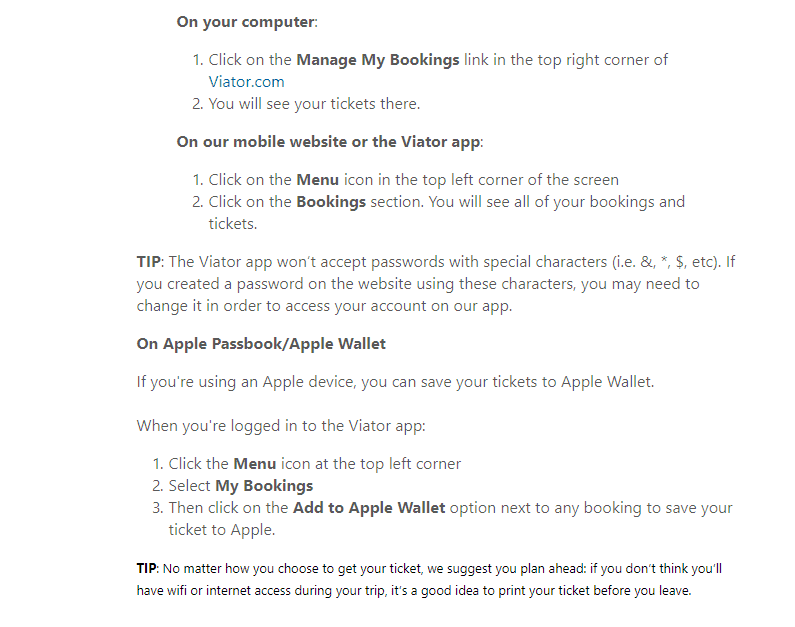 You will log into your Viator account or use your Itinerary Number to access your bookings. Once logged in, you will see options to print your tickets, change a tour date, cancel your tour or simply view additional details. 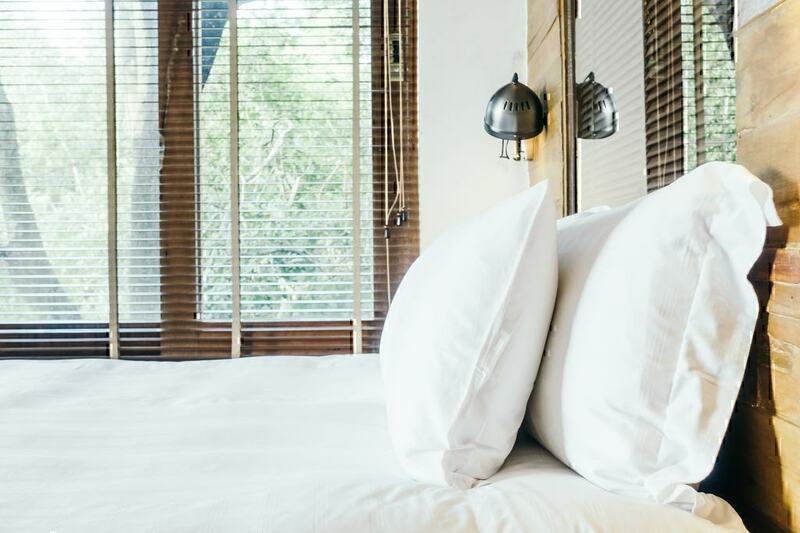 You should view these details carefully for each booking as there may be a detailed cancellation policy for the activity as well. 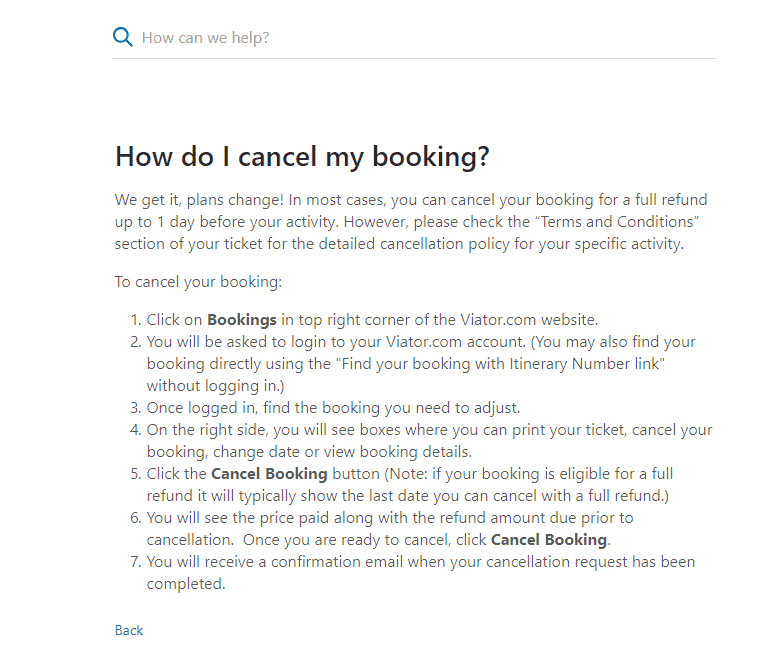 According to Viator FAQ to cancel a booking, you will use the Cancel Booking button in your account. Be aware that not all tours are eligible for a full refund. This information will be in the details for each booking. After you use the Cancel Booking button, you will see additional information about how much refund you will be given after canceling. To finish the process, you will click the Cancel Booking button. A confirmation email should follow. Changing a booking requires intervention by the Viator Customer Service Team. You will complete a request to change the date through the Manage My Bookings menu. According to the Viator Terms and Conditions, you will not be charged a fee for changing the date if your request is received more than three days in advance. 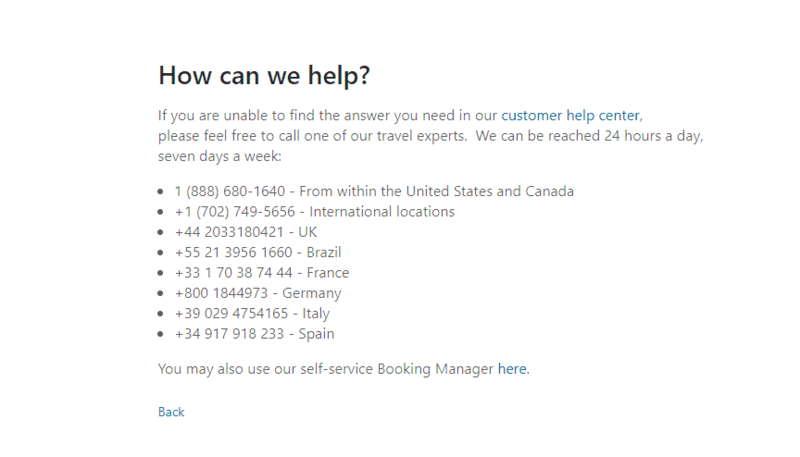 There is also a page in the Help Center dedicated to amending or changing a booking. It includes the same information about using the Manage My Booking link to access reservations and then select the changes you’d like to make. 3. What is the www.viator.com cancelation policy? The Viator cancellation policy is outlined in the Terms and Conditions of the company website. The cancellation policy includes a 100% refund for cancellations made at least 24 hours in advance. Cancellations made in less than 24 hours will not be eligible for any refunds. Additionally, the terms and conditions state in bold that the supplier’s cancellation policy contained in the details of the event at the time of booking is “the policy that will apply to and govern the terms of your cancellation and any refunds.” In short, any cancellation policy for a specific tour will supersede the Viator 24-hour policy. Read tour information carefully. Of course, the greatest cancellation policy in the world won’t help if a customer can’t get through to a customer service representative. In this Viator complaint, one irritated consumer explained the difficulties canceling a tour. After trying many times to contact the company in various ways, the customer concluded this Viator complaint by stating, “If this issue is not resolved we are going to get in touch with bank and block payment”, which would end the matter in a more aggressive way. 4. How do I get the tickets purchased on Viator? 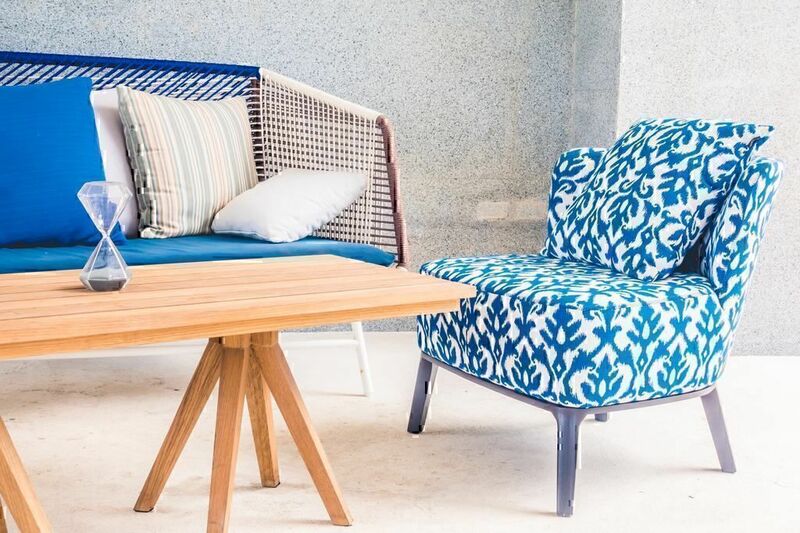 According to the Terms and Conditions for Viator consumer questions, a personalized voucher is available to you after you book a tour through Viator. You will be provided access to the voucher which is hosted on a secure webpage. 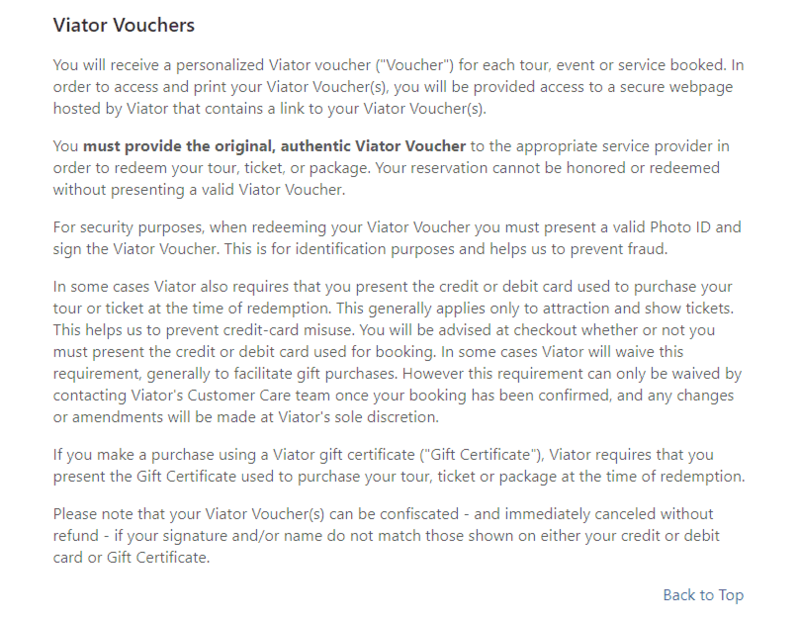 You should be aware that in order to redeem your voucher, it must be the original, authentic Viator Voucher and you may also be asked to provide a signature, a photo ID, your credit or debit card used to purchase the tour or activity or your gift certificate if that was your means of purchase. Detailed instructions for accessing and printing a voucher can be found in the Tickets Help Section of the Viator website. According to this page, your vouchers will be sent to you by email. You can also access the vouchers through the Viator website by logging into your account. Once you have logged into Manage My Bookings you should have access to the full details of your tours including vouchers. It is recommended that you print your vouchers before traveling, especially if you will not have access to the internet. 5. 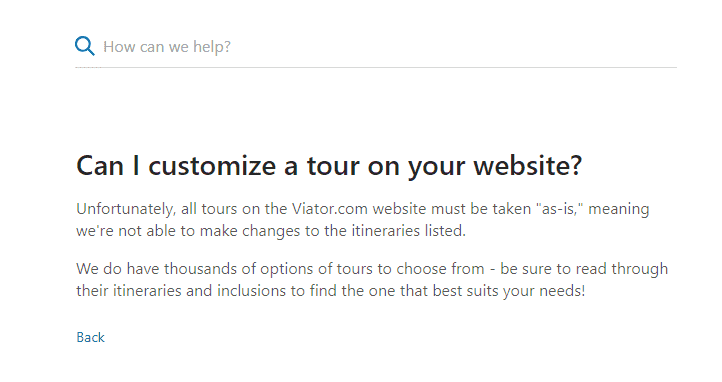 Can I customize tours on Viator.com? The website goes on to encourage customers to read the information about each tour carefully to be sure that they understand what the tour entails before they book with the company. Didn’t find what you’re looking for? You have options on how to find more information about Viator vacation questions. You may look for Viator answers on the company’s website. 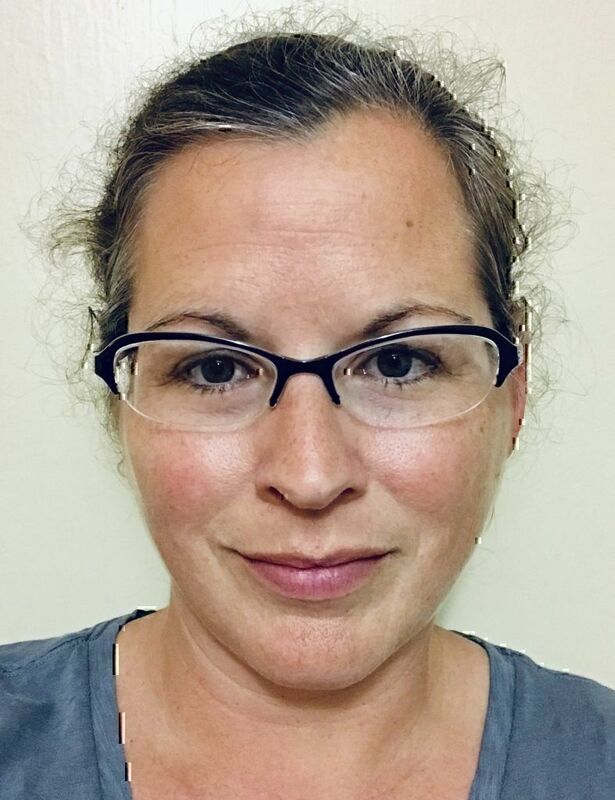 The Viator Q&A has many additional questions and answers. You may contact Viator customer service through the contact information we have gathered. You can read through the hundreds of Viator reviews here on PissedConsumer to see if others may have received a response to a similar question. You can also write a review of your own to start a conversation about your Viator consumer questions with other customers and the company.